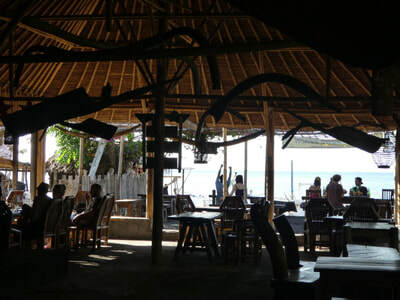 Wawawewe Beach Bar and Restaurant is on the famous salt making beach of Amed, a traditional Balinese bamboo structure, using reclaimed wood for the furnishings. 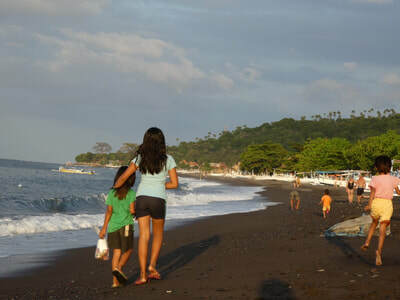 Open to the beach, with the daily life of the fishermen and their families all around, as you enjoy views of the sea, coast, and the Mighty Mount Agung, it is a great spot for a sunset drink as the sun disappears behind the volcano. 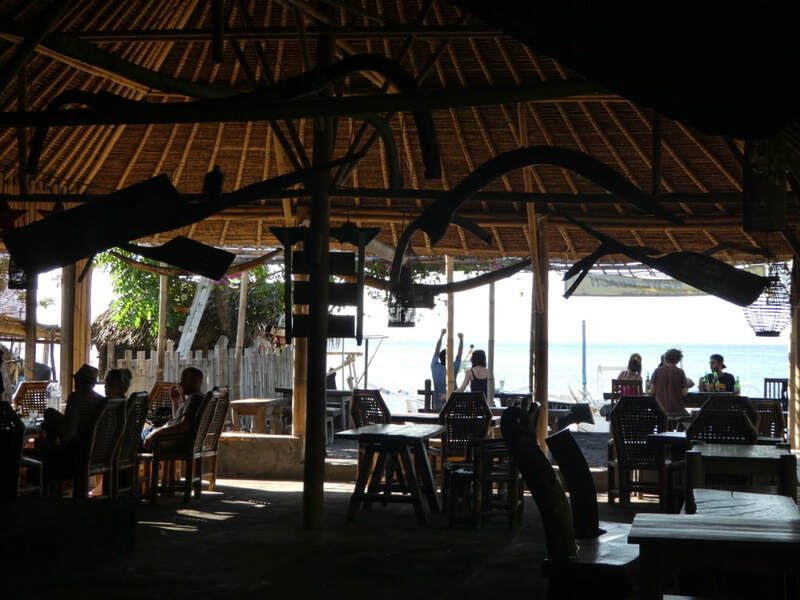 Wawawewe Beach is a chilled, relaxed, drinking, eating and meeting place, all day and night. We have live music on Monday and Thursday evenings. Feel free to join in and dance the night away in the warm sea breeze. 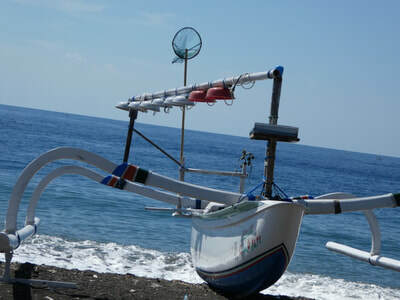 The restaurant serves fresh, locally sourced food and it is cooked fresh to order, so may come out at different times. 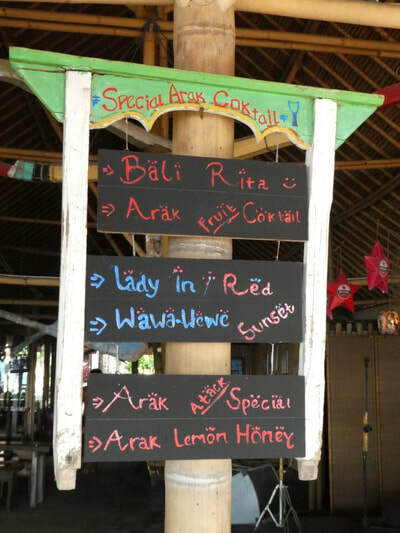 Fresh fish of the day and Balinese specialties, including vegetarian options are kept simple and fresh.